Last week, there was a spirited debate on my state's library listserv. Someone asked for some advice on switching from the Dewey Decimal Classification System to more of a bookstore layout. Apparently it was quite a hot button issue, because the original poster got a wide range of responses. Many of those responses were directed toward the entire list, and I have to say it got a little ugly. Needless to say, changing your library from the Dewey Decimal Classification System is controversial. 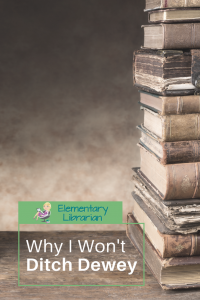 I'm going to share my thoughts about this issue and tell you why I won't ditch Dewey in my school library. So Dewey, or Don't We (ditch Dewey, that is)? Many libraries, like Red Hawk Elementary in Colorado are getting rid of call numbers and organizing their collection simply by subject (more like a bookstore). Supporters of this Dewey-less system say that their libraries are more user-friendly and that their circulation volume has increased. Those things sound good in theory. My problem is that books are already grouped by like subject in the DDC. Yes, there are a few eccentricities here and there. You may find books about trains in several different classifications, for instance, depending on what the book is about. The "secret" is teaching your students to use the library catalog system to find what they want. They don't have to memorize the main classifications or randomly browse the shelves to find what they want. Just use good searching techniques on the online catalog, make a note of the call number, and go to that shelf. It's really not rocket science. The problem I have with the bookstore model is that while bookstores do look like Dewey-less libraries, public and university libraries generally do not. I use my local public library often, and they organize using Dewey. While it's true that many public and university libraries use different classification systems than Dewey, the basic principle is the same. Search for what you need, make a note of the call number, and figure out where it's located. Even if I thought getting rid of Dewey was a good idea, I would have a hard time getting it done. I have a full schedule of classes on most days, and I don't have an assistant. I can barely get my books shelved in a typical week, let alone redo thousands of labels and change the online catalog. I do get paid to work a few extended days in the summer, but it would not be enough time to get it done, especially considering I have to work on the 500 other things I don't have time to do during the school year. Another thing to consider is that my students generally understand how to use the online catalog to find what they want. I spend quite a bit of time teaching them to find books because it's really hard for me to help them all in a limited amount of checkout time. What I'm saying is that we need to help our students become better information seekers instead of reinventing the wheel to make their lives easier. That's what life in the 21st Century is all about. Need to find an answer? Search for it. The same is true for books in libraries. It's more important to know how to find an answer than to know every answer immediately. Even though I'm not ready to reinvent my school library, there are still some ways to make it more user-friendly. Here are some ideas to help you increase your nonfiction circulations. 1. Make signs for your shelves. Think about books your students ask you for often (like dogs, cars, sports, etc.) and make colorful signs for the tops of your shelves to quickly direct students to that section. 2. Create a rotating nonfiction display. I know this is tough to do if your schedule is anything like mine, but you could always enlist the help of a parent volunteer. 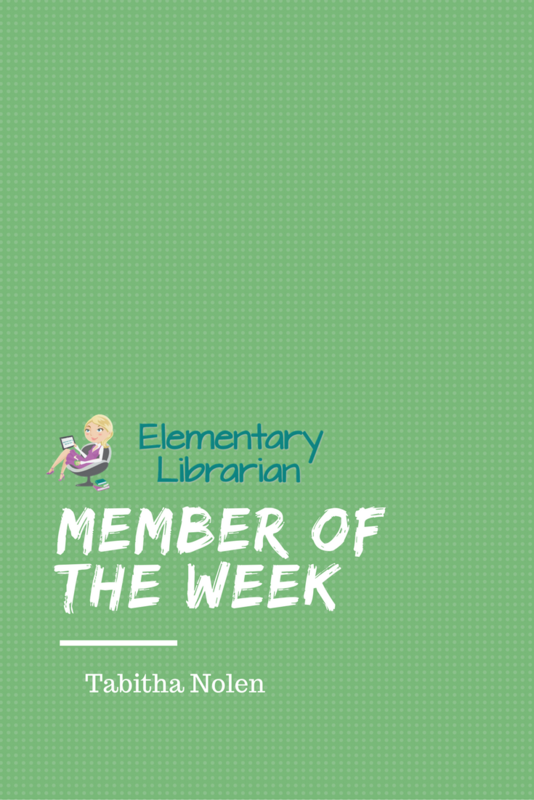 Each week (or month), create a simple display about a particular subject. Students may find books that they would not have found on their own. Even simpler? Just display a book at the end of each shelf that's not full. 3. Try a nonfiction book challenge. This is one of the things I wanted to start at my school this year, but I haven't had time to organize yet. I love Tiffany's book challenge idea at Mighty Little Librarian. You could even do a strictly Dewey book challenge and offer a prize at the end. 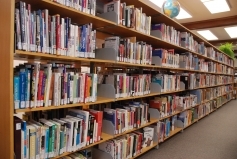 4. Review how to search the library catalog several times each year. I recommend a quick review at least once every 9 weeks. Sometimes new students come in throughout the year, and the review helps those who have been there a while, too. 5. Don't forget to weed your collection. Get rid of some books to make room for new ones. When I started in this library last year, I spent a long time weeding the nonfiction section. Some of the books were older than me. I found a NBA basketball collection from 1994, which is before my students were born. There were several biographies of people who were popular when I was in middle school (also before my students were born). Weeding your collection makes relevant books easier to find, and it also helps you see which types of books need to be reordered. 6. Change the call number for books that seem out of place. Have a few train books in the 300s and others in the 600s? Change the call numbers on some of the books so they're all together. Don't forget to change your online catalog, too! What's your opinion on changing classification systems? If you've done this, has it been successful? Share with us in the comments! I have read a little about the "dewey-less" library concept, and I have to agree with you. The books are already organized by subject matter, and it is important for us to teach students to use the catalog to find what they need. It is a life-skill they will use throughout their academic career and beyond. A little signage will help kids find the more popular subjects that they might otherwise not explore. Plus, with the inception of Common Core and the emphasis on non-fiction texts, it will be even more important to have the books organized and accessible for students. Why reinvent the wheel, when Melvil Dewey already laid the groundwork? Dewey works! I'm with you, Beth. It's been in place for all these years for a good reason. I'm like you, I don't want to abandon Dewey! However, without an assistant, like you, I had to come up with a compromise for my young users. My older student section is still traditional Dewey, while the E section is set up like a book store. The students who aren't quite reading enough yet to use the catalog, know they can find books about horses, dogs, dinosaurs, cars, scary, etc. by looking for the stickers on the books in the "neighborhood" they want to read. They feel successful because they can find books they want on their own and I don't feel like I've let anyone down by not having the time to help all of them. Each section is organized alphabetically, so it isn't complete chaos. Leslie, I think this makes sense for children who are too young to use the library's catalog system. I'm glad you found something that works for you! Thanks for sharing. I agree with you! I recently saw a news story about a local library (new school) that decided to use the bookstore model. The comments from the students were a little alarming- things like "I don't want to think" "I don't have time to use the computer"- and more. As an educator, my job is to teach them TO THINK! And to be a life-long independent learner! That means using the tools available (computers, signs, etc)! Thanks for your thoughtful post! I loved your points and your rationale. Thanks! I just felt the need to respond to the entire situation on my own blog where it's safe. 🙂 Ha ha! When everything is said and done, I generally side with whatever is better for students. In this situation, though, I'm honestly not sure which way is best. Based on my current schedule and situation, I lean toward no. I can see where others may disagree. In fact, I may have considered ditching Dewey in my previous school situation. Finally, voices of reason!!! I have for some time been scratching my head and wondering why people think they need to change from Dewey to a "book store" model... do we really want to revert back to every library having their own system? How many people really find the exact book they are looking for in a book store without help from someone? And how many of us can help all 30-some students in the 10-15 minutes they have to find a book and check it out? When it is so common for students to move from place to place, they need to be able to use different libraries! I also do some modifications especially for younger students such as cars all in one place. But even the young ones that can't use the catalog efficiently can see that books that are about the same topics are shelved together (especially will the help of a few well placed signs). I have never had a student complain about how the library is set up. My first graders are just thrilled to be able to get their hands on books... and they go for the nonfiction more often than fiction! My older students thrive on "helping" themselves by using the catalog and are proud of their successes. They also get to use the computer to check their own books out! Since I don't have an assistant it allows me to help those who are new or truly need help finding that one elusive special book. Thanks for your comment, Muriel! My students also check their own books out. You have several good points yourself. I didn't even think about students moving from school to school. 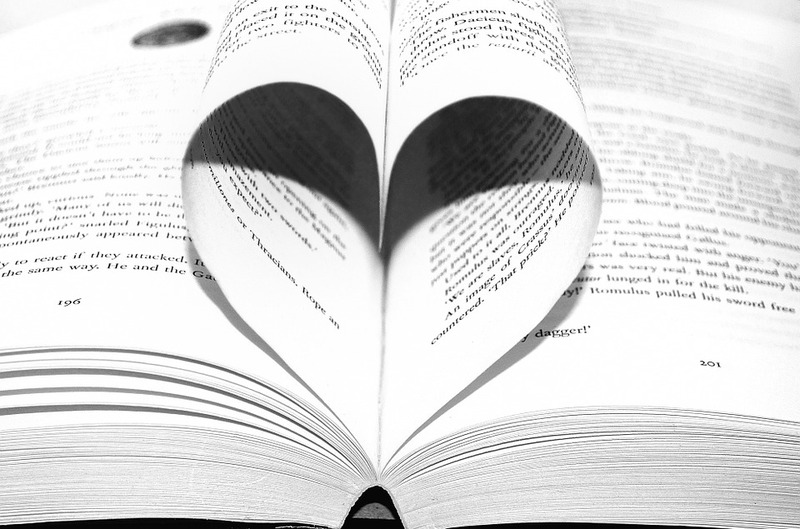 I am currently researching non-Dewey libraries to help in making the big decision for the future, but I am glad to hear you and others make modifications to Dewey. I felt I needed to either use it "perfectly" or make a huge change, but I've discovered this past week that many people do tweak it a bit. Makes me feel so much better! I'd much rather tweak than ditch it all! Bravo! After being an elementary librarian for 33 years, in the same school, I finally retired. My replacement turned the library into the book store format. She stay for about four years and abruptly left a few days before school started this year. I was asked to come back for one year, until a perminate replace is hired for the next school year. I couldn't even begin to shelf or find anything! Sections of the nonfiction collection were set up all over the room and series were pulled out and scattered everywhere! Books were stacked on tables, on top of shelves and counters. I have re shelved all the books back into the collection and have received nothing but complements from the entire staff. The students are learning to find their books using the online catalog and are feeling great about doing it. In today's society ,where we water down everything in order to make it easier for children to find things, maybe it's not so bad to actually teach them rely on themselves! Our public library has gone to "neighborhoods" and I have been in there trying to find picture books. It takes me forever. I have to figure out where the subject label "kids" or "birds" or "multicultural" would land and then go from there. There were even books, those that were without an official neighborhood on their call number, that I couldn't even find. I think keeping Dewey in place makes it so everyone can figure it out. You can always create special display areas or pull special things. I, like others have mentioned, have pulled some of the younger kid books into baskets for ease in finding and shelving. But the Jonathan London basket with the Froggy books is still in the easy books under L! Wow, that sounds difficult to find items at your public library! If I had room on my shelves, I'd have some baskets for special books like Froggy, too! Great ideas! ex: E 599 Z. Although the younger students are not really using the Dewey number, they do understand that those numbers mean that they are "books about real things" as they say. I have been using it for a few years and the students seem to better understand when they get to move up to the "big shelves" of Dewey listings. This is also a good idea, Deborah. Thanks for your comment! My library is set up like that, too, Deborah. The nonfiction books are separated by K-2 & 3-5+ grade reading level. We have call numbers for the K-2 that start with a P (for Primary). They also have a green dot to make sure they get in the correct nonfiction "neighborhood." This really helps the little guys find books that don't overwhelm them. I'm glad you mentioned that you break them out! I do the same thing. It works well for our library situation. i think dewey is a flexible system. i met lots of "Dewey eccentricities" when i was making books in order at my school library. Tables at DDC were made to solve these problems. I am in a K-5 library. I agree that nonfiction is already organized by subject matter and doesn't need to be rearranged. However, the previous librarian bought a lot of paperback fiction (chapter) books that I have arranged by genre in a separate section. I have noticed increased circulation now that the kids can find the "funny" and "adventure" books, etc. I may do this with my hardcover fiction, but I think the easy "picture" books need to stay strictly alphabetical....it would just be too complex to decide where they belonged. I put my chapter book series together. It just makes more sense for my students. My issue with organizing into non Dewey is that a book can be more than one "thing"..what would you do with Curious George? Animal story? Humorous? It depends on the librarian. Dewey is the same all over...and that is a big point I make with all my classes when I teach it--"When you go to the public library this summer, the cat books will be in 600's just like here.." and so on. Teaching kids who tend to move around, it's nice to know that the lessons i teach will be applicable everywhere. Just my 2 cents! Thanks, Elizabeth. That definitely makes sense to me. Jocelyn I totally agree. When I started reading about "Ditch Dewey" it made no sense, since Dewey is already sorted by subjects. Is it perfect? No, but it works. I had a "PJ Library night" at my school the other night and a parent came up to me with a list of books, including the author. She said "where would I find this section?" I directed her to the easy section and told her the books were in alphabetical order by the author, she came to check out and said, "that was so much easier to find the books than in the book store." 🙂 Love it! I also have non-fiction subjects highlighted monthly with the Dewey number for the students to locate them. They love finding the "address" (call number) and then the book. The thing is that bookstores can shelve by subject because of the way they are run. The store will buy a popular title, place it in the appropriate shelf (i.e., religion or art) and then when the title is sold out, or out of date, remove from the shelf. It NEVER has to be re-shelved! Libraries on the other hand, have to repeatedly re-shelve and locate the same title, over and over. This is something that book stores do not have to deal with. A system for location is imperative in a library, and I cannot imagine what problems we would face if we ditched Dewey! Keep Dewey. It is arranged by subject. I teach my kids how to search the catalog (there is a visual search for younger kids). We also learn that books are alphabetized and/or in number order on the shelves. They learn how to use shelf markers. I help the younger ones, but the older ones can do it themselves. They become independent, and catalog searching techniques are a great springboard for web searching techniques (in a more controlled environment). If they understand how the system works, then they can use any system. Putting numbers and letters in order is an important skill for a child to learn. 1. Move the majority of non fiction to another location in the school, and have it set up as borrow on demand. Keep Dewey intact for this collection. 2. Extract the top 10% borrowed non fiction, plus other titles deemed to be of interest to our students, and arrange them by genre in a new 'special interest' area, in the middle of the fiction reading area. I also want to start adding stickers to fiction titles...., romance, death themes, suspense, strong language, ...and so on. This generation are very happy to browse. So I think that removing the search hurdle can assist some students to access titles they otherwise would not have noticed. Having said that, search as an information literacy skill is more important now than it ever has been. Especially when "Google it" has become synonymous with search for it... eek! I would like to cite this article in my argument against "Ditching Dewey," but cannot find any reference to the name of the author, or when it was published. Do you have this information? I appreciated the ideas presented here, and want to give credit where it is due. Thank you. Thanks, Kathryn! This was written by the site owner, Jocelyn Sams. I will see if I can find the exact date for you. It was originally published on January 21, 2013. I have decided to make the change to genre on my middle school library in the fiction section only. Dewey will stay in the non fiction section. Dewey works for all the reasons you stated. I have wondered how these school librarians who have ditched Dewey are preparing their students for research at the high school and college level of they are encouraging browsing instead of solid information seeking strategies. My job as a school librarians isn't too make my library only a fun place, but my central job is to create knowledgeable students who can do real research on their own. That's what day does. I am so pleased to see such a well argued defence of retaining Dewey. It's flavour of the year in Australia to 'Ditch Dewey' as well but I cannot see the point and the fact about reshelving is not one that has struck me before. I am not in favour of genrefication either. I am a big believer in teaching search strategies in the catalogue and using spine labels, shelf labels, face out shelving, rotating displays and signage to make it easier for students to find things (plus friendly library staff!). What on earth would I waste my time reinventing the wheel (or classification system!) for? Makes no sense. Until there is a new "Dewey" librarians will balk change. This is quite simply because it is too much work, we don't like disorder, and Dewey knew best right? The trouble is the DDC was created for middle to large ADULT libraries. Children do not even start learning about decimals until 3rd grade and even then it is not really mastered until 4th or 5th. This means children are stumbling around blindly in the library for 4+ years. As for the "just use the catalog" after a 10-15 minute lesson our kiddos have less than 10 minutes to find the book they want and checkout. In elementary, reading is about fun, pleasure and the excitement of seeing things you like displayed for you to grab. Dewey just does not have a place in an elementary school. Dewey works quite well for my medium sized K-12 library. I use lots of signage and display special collections that support the curriculum or whatever special projects I know have been assigned. I recently genrified my elementary fiction collection, which was quite tedious, but I think it will pay off. Students are usually in a hurry to find a "mystery" or "adventure" title for their book reports, and so it's easy to browse the shelves of the genre they are interested in. What I am struggling with is the picture book collection. Right now, they are color coded with red tape on the spine and the first letter of the author's last name. This makes reshelving easy, but the color and letter mean nothing to the students. They rarely know what author they're looking for, only that they want books about trucks or dogs...they don't even really know the difference between fiction and nonfiction, and the picture book collection can have both. I've thought about genrifying this section too, but I don't know if it will make a difference. These young kiddos tend to just pull anything off the shelf and check it out. Great point about bookstores and reshelving - I had never considered that but it makes perfect sense. One thing I did do that has made reshelving so much easier is that I type up my own spine labels (ddc + first three letters of author's last name) vertically, instead of horizontally. Most nonfiction books are quite thin, and the call number wasn't visible so shelving was frustrating. Applying the call number vertically lets me see the whole number and shelving goes so much faster. I don't intend to ditch Dewey altogether, but I think there's a middle ground that can remove some of the barriers to finding books and information and make the library more user friendly but still organized by Dewey. After all, we are preparing students to be successful in college and to be lifelong learners and users of public libraries. I like your article and your suggestions. I don't plan on ditching Dewey either. Unlike a book store, my library has over 12,000 books. Each year I teach students how to use the library search program and how the library is organized. I don't delve in to deeply about what all of the numbers in Dewey mean but they have a general grasp of it. Thanks for this article. I am feeling pressure from the "the higher ups" to ditch Dewey. It is comforting to know that other librarians think as I do.